Fun Fact: This is the first League of Legends prop created by Kimer Props! Kindred is a champion from the popular computer game League of Legends. Kindred is two spirits in one, always together and always on the hunt. The Eternal Hunters are spirits (Lamb and Wolf) who continually prey on those at the edge of life. 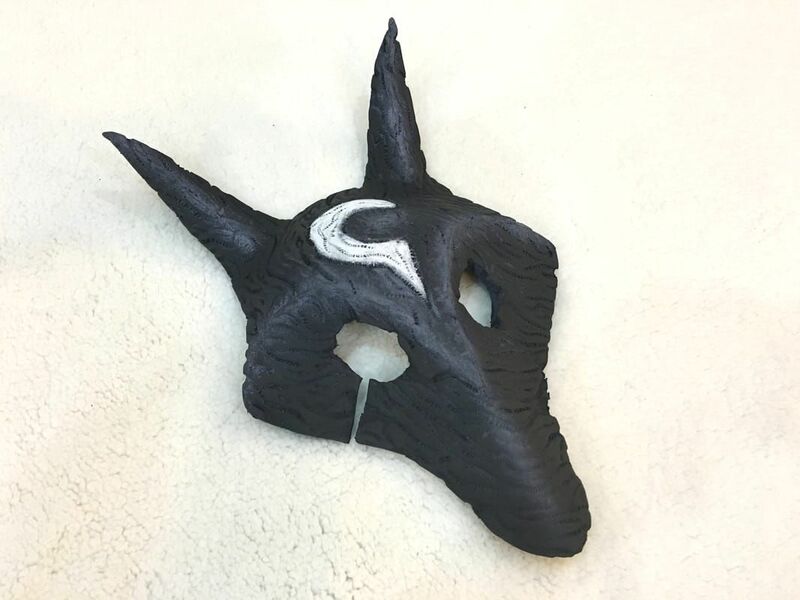 These masks were created to bring Kindred from Summoner's Rift and Runeterra into our world! The masks were given their distinctive wood-like texture through EVA heat treatment. Using a soldering iron, crevices were melted into the surface of the EVA foam sheets creating the uneven and wood-like pattern! These masks were hand painted using basic acrylic paints. This allowed for multiple layers of weathering and color depth, giving the masks a more realistic and accurate to design look. Implementing dry brushing techniques and washes, the masks have a lot more depth to them than a camera could pick up!